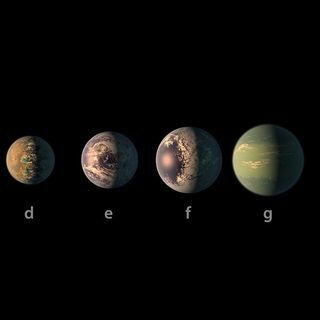 About forty light years, or 235 trillion miles, away in the constellation Aquarius lies a planetary system with seven Earth-sized planets, at least three of which could be habitable. The exciting news was revealed to the public at a NASA press briefing and through the release of a study in the journal Nature in February 2017 - check out this podcast to find out more! You can support our youth media charity simply by purchasing the Music Matters IOA Charity Album, which is available from http://www.cbbaby.com/cd/musicmattersinternationa - every purchase is going towards helping support important youth initiatives including young people in need.